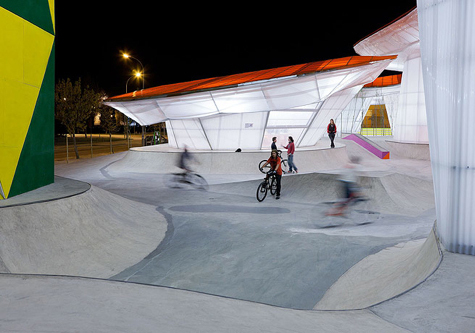 Factoria Joven Skate Park is a fantastic public space for energetic youth to skate, bike and climb. I love the bold color swatches and faceted surfaces. Jealous! Designed by SelgasCano Arquitectos.